You might be thinking “why spruce up my home just to pass those improvements on to someone else?” Well, if you’re thinking about selling your home anytime soon, a simple call to a handyman can increase the amount that you can ask for, and get, for you home. Is it really worth it? Here are some convincing arguments. No matter how nice your home, people who stop by are always going to notice things that you don’t. Perhaps you’ve just come to live with some minor annoyance, or maybe you’ve lived with it so long that you can’t even see it anymore. Friends certainly aren’t going to mention it for fear of being rude. A handyman has no problems pointing out these problems! While we certainly won’t be rude about it, we’ll be sure to ask you if you want that second light fixture in the garage fixed (brighter spaces attract buyers) or if you’d like your counter sanded and refinished (the kitchen is the most influential room in most home-buying decisions). Small, inexpensive fixes and touch-ups to your home can make it shine and make it more enticing to buyers. A handyman is in and out of houses all over your town and knows what is and what isn’t normal for your living area. A small question like “how’s the plumbing?” can reveal a lot. While you might have been living with a slow toilet for years, a handyman can tell you that plumbing in your neighborhood is perfectly fine and that you might be the one in need of plumbing service. You might think that the problems your house has are normal, but a handyman might find problems that shouldn’t be there. You might have been living perfectly happy with the problems, but a certified home inspector might not. If a handyman notices that something is not up to code, he can fix it before you’re in the middle of a sale. Because if you’re in the middle of a sale and the home inspector finds something wrong with your home, it delays the sale and might make the potential buyers back out. When selling a home, hundreds of thousands of dollars are on the line. A small final investment in your home could lead to big returns, so Isn’t it worth giving a handyman service a call to get a free consultation? We can make your home look better than ever to buyers! Home Maintenance Solutions is like having a home manager. Our team is made up of certified technicians who are ready to get the job done right. We offer the home care services you need, when you need them, with just one phone call or email. Our multiple disciplinary team of experts in plumbing, carpentry, landscape design and technicians are passionate about what they do. No project is too big or too small. Our team provides the workmanship, dedication and services necessary to deliver a consistently professional product on time and within budget. We strive to be your all-inclusive solution for any and all of your home maintenance needs. As a homeowner and builder in Westchester County I have had the challenge of finding highly skilled, trained, and courteous tradespeople to work both on my own home and in my construction business. I can sympathize with most homeowners on the difficulty this effort represents. With that in mind, Home Maintenance Solutions was formed. 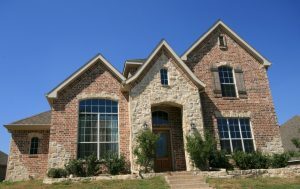 Our goal is to present you, the homeowner, with a unique home maintenance service. Your one call solution for all your home maintenance needs. From our highly trained technicians to our customer service, we aim to ensure that all your needs are satisfied in the fastest and most copmrehensive way possible.